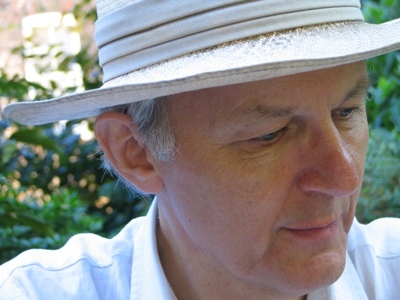 Marius Kociejowski, poet, essayist and travel writer, lives in London. He has published four collections of poetry: Coast (Greville Press), Doctor Honoris Causa and Music’s Bride (both Anvil Press) and So Dance the Lords of Language – poems 1975-2001 (published in Canada by Porcupine’s Quill in 2003). Other books are The Street Philosopher and the Holy Fool: A Syrian Journey (Sutton Publishing, 2004) and The Pigeon Wars of Damascus (Biblioasis, 2010), and an anthology, Syria through Writers’ Eyes (Eland). A collection of short prose, essays and feuilletons, The Pebble Chance will be published in 2014. He has completed a new, as yet unpublished, book, God’s Zoo, a record of a world journey through London, through its exile and émigré artists, writers and musicians. Janine Pinion is based in Wirral, Merseyside. She moved from Belfast to study at Liverpool College of Art and has exhibited in the North West and Ireland. She has had poems published in magazines and anthologies, such as Ambit, Iota, Interpreters House, Smoke. Driftwood published her pamphlet in 2003 and she is currently writing a full collection. Janine teaches in higher education and mental health. Her poetry has been described as visual and enticing, based on subjects such as an Irish childhood, missing people and postcards of modern life. Jeremy Over was born in Leeds in 1961. He studied law at Leeds University and now lives near Cockermouth in Cumbria, where he works as a policy adviser for the Department for Work and Pensions. His poetry was first published in New Poetries II(Carcanet, 1999). His first collection was A Little Bit of Bread and No Cheese (Carcanet, 2001). His second collection, Deceiving Wild Creatures, was published in 2009. ‘Deeply enjoyable … hilarious’: John Hartley Williams, Poetry London; ‘a menthol lozenge on the confectionery stall of modern poetry’: Vic Allen, The North. Jinny Shaw is an oboist in the Hallé Orchestra. She has written music for many collaborative projects, including sound installations and now music for the artists Mary Husted, Katharine Dowson and Ivan Leudar. She has written music for the blackboard drawings of Rudolf Steiner and for poets Len Evans and Rachel Mann. She has played her music in Canada, Switzerland and throughout the UK. On this occasion she will be joined by a violinist, a cellist and a viola player.